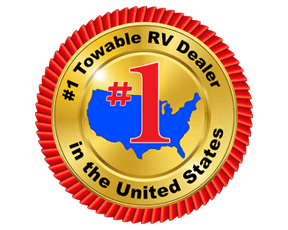 We offer some of the lowest prices on outstanding RVs for sale, including our We offer some of the lowest prices on our finest Prime Time RV Fury toy haulers for sale in Texas. 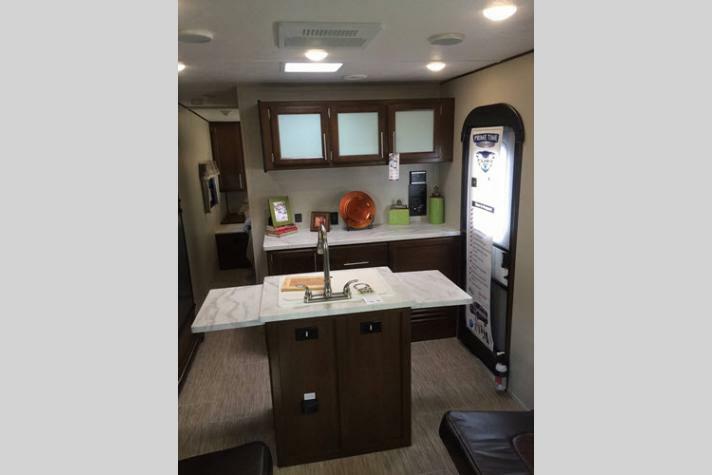 If you are looking for a toy hauler with a massive u-shaped dinette, a spacious kitchen area, and a stowable table, the Prime Time RV Fury travel trailer is just what the doctor ordered. Perfect for long-term RVers and short weekend warriors alike, the Fury provides you with all of the features and amenities that you need to make any road trip into a true adventure. Not only is the Fury easy to tow, but each model offered will easily take your next adventurous journey to a whole new level with great features and equipment throughout. The Fury includes Eternabond construction, power coated steel l-beam frame, heavy duty Dexter axles, and upgraded radial tires to mention a few highlights. You will find both open and closed garage models and multiple sleeping arrangements. You can even choose the optional Party patio kit for the ramp door for an outside raised patio entertainment area. All of this and so much more comes in these toy hauler models! If you are interested in learning more about our fantastic RVs for sale in Texas, you can contact us today for more information. 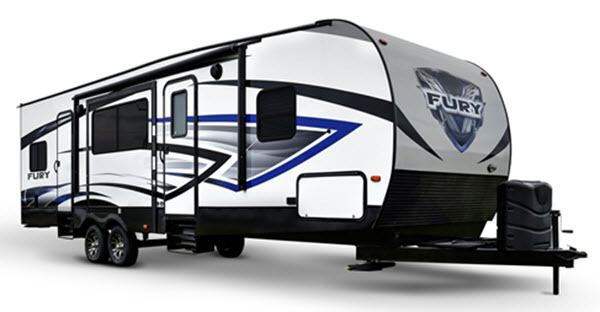 We are proud to carry amazing Fury floorplans, like the Fury 2910, with new options coming in all the time. No matter what you are looking for, we certainly have something that you will love. Check out all of what we have in the listing below. We can't wait to hear from you here at your top Prime Time RV Fury dealer in Texas.